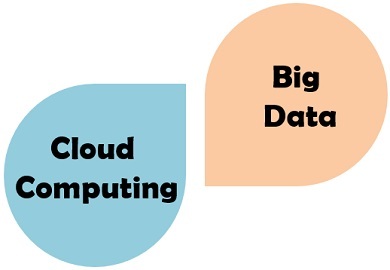 In recent years, data centers are expanding at an unprecedented pace to drive the need for increasing bandwidth between the server and switches. 10GbE is not adequate bandwidth for today’s networks. There’s a tendency that 25GbE (based on SFP28) is on route to displace 10GbE (based on SFP+) from its leading role as the work horse in networking construction. As this transition takes place, questions about SFP+ and SFP28 compatibility arise for anyone who’s planning to upgrade the 10GbE to the higher and faster 25GbE. This post will provide a thorough presentation to 25GbE and clarify the compatibility issues between 10G SFP+ and 25G SFP28. What Is 25G and Why Do We Need It? 25G Ethernet was based on the IEEE 802.3by standard and released in 2016. 25GbE specification makes use of single-lane 25 Gbps Ethernet links, providing a simpler path to future Ethernet speeds of 50 Gbps, 100 Gbps and beyond. 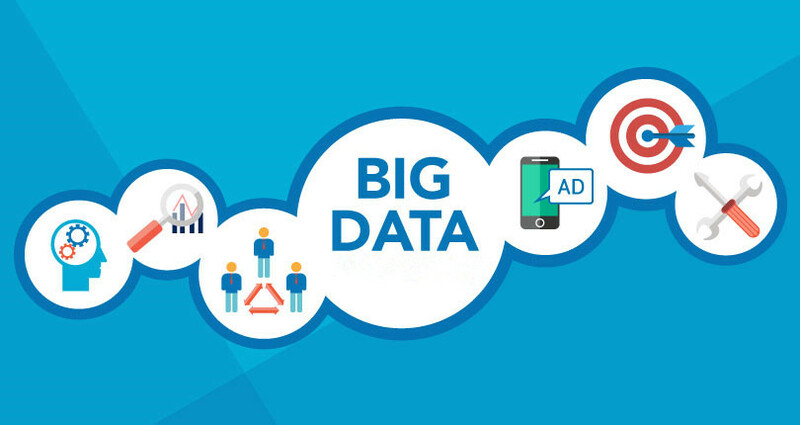 By offering the advantages listed below, 25GbE is gained more and more momentum among service providers and data centers. The high performance 25G chips use single-lane 25G serdes technology similar in operation to 10GbE, supporting technology advancements from 10G in packaging and silicon. 25GbE allows existing switch architectures to support link speeds faster than 10G with no increase in cable/ trace interconnect. The 25G Ethernet based on the SFP28 form factor delivers 2.5 times more performance and bandwidth compared to 10G speeds. It also provides easy migration path to 50GE (2x25GE) & 100GE (4x25G), laying a path to higher networking speeds like 200G and 400G. 25GbE delivers 2.5 times more data vs. 10GbE, thus reducing the power and cost per gigabit significantly. This power savings will in turn result in lower cooling requirements and operational expenditure for data center operators. Every new Ethernet speed has gone through multiple pluggable form factor migrations to achieve higher density and lower power consumption goals. For instance, 10G moved successively to the X2 and XFP form factors before finally converging on the SFP+ form factor that allows for up to 48 ports per 1U. Similar form factor transitions happened for 40G (CFP to QSFP) and 100G (CFP, CFP2, CFP4 and QSFP), in achieving the highest density and lowest power. With the release of the 25GbE specification, 25 Gigabit Ethernet equipment is available on the market using the SFP28 form factors. 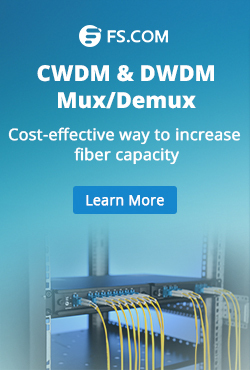 For optical modules, FS offers cost-effective 25GBASE-SR, 25GBASE-LR, and 25G CWDM SFP28 transceivers to cut your hardware costs. 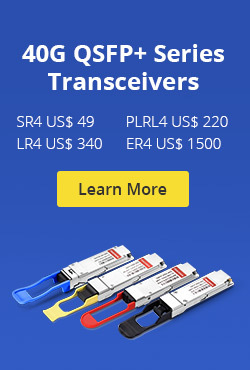 For short-haul transmission, 25G SFP28 DAC (direct attach cable) and 100G QSFP28 to 4x SFP28 AOC (active optical cable) in various lengths are also available for all needs and specifications. 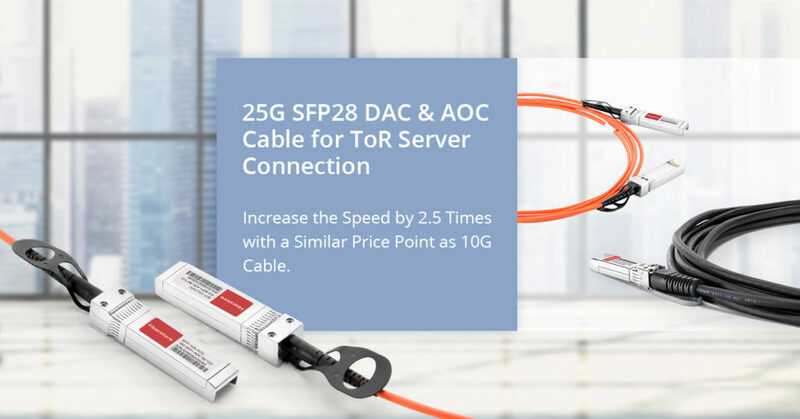 With 10G and 25G Ethernet equipment coexisting on the market today, we may frequently encounter the compatibility issues related to SFP+ and SFP28 form factors. Anyway, the newer 25GbE technologies are backward compatible with 10GbE, allowing customers to build and cross-connect a heterogeneous-speed Ethernet network. Here we list the frequently asked questions coming through average customers. 1.What is the difference between SFP28 and SFP+? The pinouts of SFP28 and SFP+ connectors are mating compatible. However, SFP+ is designed to operate at speed up to 10 Gb/s whereas SFP28 can handle 25Gbps, 10Gbps and even 1Gbps. SFP28 has increased bandwidth, superior impedance control and less crosstalk than the SFP+ solution. Besides, the SFP28 copper cable has significantly greater bandwidth and lower loss compared to the SFP+ version. 2.Can the SFP28 be used in SFP+ slot, and what speed will I get? Theoretically, plugging an SFP28 transceiver or cable into the 10G interface is feasible for certain devices to get 10Gb/s data rate, but this solution is not recommended, because it would be limited by the NIC and switch port that you have. Only when your SFP28 module is 100% compatible with your server or switch can you ensure that the links can go seamlessly and efficiently. 3.Can the SFP+ be used in SFP28 slot, and what speed will I get? Theoretically, plugging an SFP+ transceiver or cable into the 25G SFP28 slot is feasible. But you also need to make sure ensure that your existing modules will be compatible with your switch gear. That is to say, although a switch that accepts the SFP28 form factor can physically accept a SFP+ connector in the same port, it doesn’t mean that your SFP+ modules will work on your equipment. Note: When shopping for new 25G leaf switches, if you have SFP+ modules you want to use, look for switches that accept the SFP28 form factor, which is physically capable of taking existing SFP+ modules. The same holds true for QSFP+ modules and QSFP28 ports. Carefully read the product specs to ensure that your existing modules will work with your new equipment. As the majority of 25G switches and network interface cards offer backward compatibility to 10G, there is lots of flexibility to manage a gradual migration to higher speed servers and mix and match port speeds. Theoretically, all SFP28 based 25G ports on switches and 25G NICs can be used at 10G speed via port self-negotiation, but the premise should be that your existing modules are compatible with the NIC and switch port that you have. With a minimal premium for 25G based systems compared to 10G systems, it becomes a wise choice to deploy 25G capable systems to realize the performance advantages for migrations & future proofing initiatives. This entry was posted in Fiber Cabling and tagged 25G SFP28 DAC, CWDM SFP28 on February 27, 2019 by Kelly.Zeng. How to Mount a Network Switch to a Rack? A network switch has been recognized as one of the most important devices for today’s networking technology. It allows simultaneous transmission of multiple packets and partition a network more efficiently than bridges or routers. 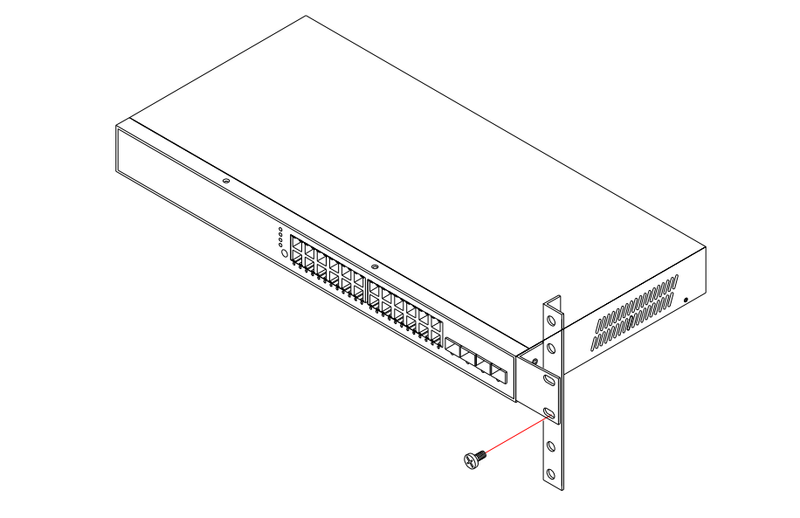 The rack mount switch can be installed in a standard 19-inch equipment rack or on a desktop or shelf. So how do you mount a network switch to a rack to establish network wiring connections? 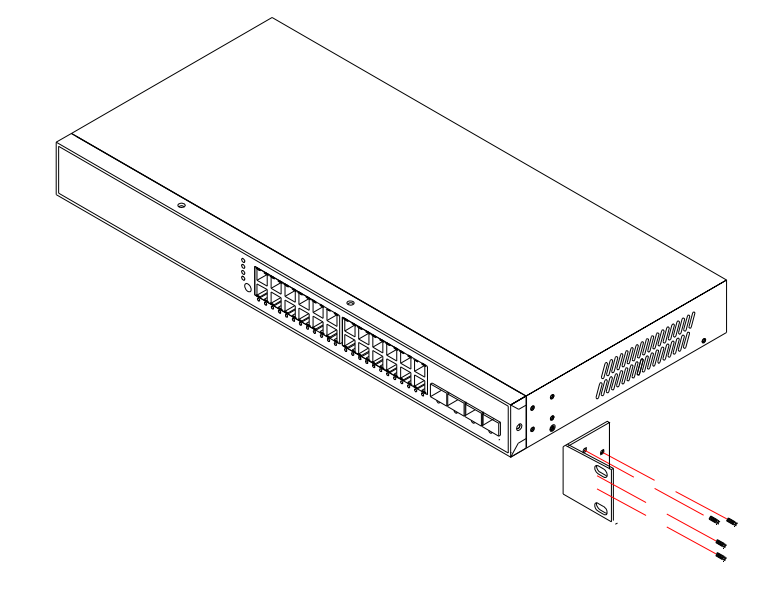 Here’s a step-by-step guide to teach you how to mount a network switch to a rack. Location: The site should be at the center of all the devices you want to link and near a power outlet, so that it is accessible for installing, cabling and maintaining the devices in the rack. Temperature: Since the temperature within a rack assembly may be higher than the ambient room temperature, check that the rack-environment temperature is within the specified operating temperature range (0 to 40 °C). Mechanical Loading: Do not place any equipment on top of a rack-mounted unit. Circuit Overloading: Be sure that the supply circuit to the rack assembly is not overloaded. Grounding: The switch rack should be properly grounded. Attach the brackets to the network switch using the screws provided in the mounting accessory. Mount the switch in the rack with the optional rack mount kit, usually using the rack-mounting screws. Be sure to secure the lower rack-mounting screws first to prevent the brackets being bent by the weight of the switch. If there is only one data switch to be installed in the rack, then you can make the connection to a power source now. If there are multiple switches to be mounted, you need to install the another switch on the top of the first one in the rack, and then attach the power cords. After you complete mounting all of the switches in the rack, it’s time to connect the switch rack to the power source. Remember to verify that you have the correct power supply (AC-input or DC-input and the correct wattage) for your configuration. This network switch should be mounted at the bottom of the rack if it is the only unit in the rack. When mounting the switch in a partially filled rack, load the rack from the bottom to the top with the heaviest component at the bottom of the rack. If the rack is provided with stabilizing devices, install the stabilizers before mounting or servicing the switches in the rack. 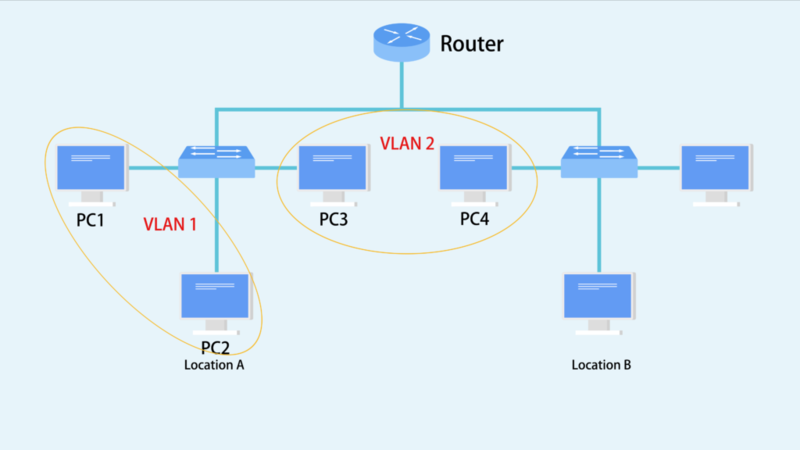 After mounting your network switches to a rack, you can establish the network wiring connections according to your requirements now. If you’re using a Gigabit Ethernet switch, it can be connected to 10, 100 or 1000Mbps network interface cards in PCs and servers, as well as to other switches and hubs. It may also be connected to remote devices using optional SFP transceivers. No matter which type of network switches you are using, make sure that they are securely mounted in the rack and connected to the corresponding networking wiring systems. This entry was posted in Fiber Optic Switch and tagged data switch, Gigabit Ethernet switch, network switch, rack mount switch, switch rack on September 14, 2018 by Kelly.Zeng. Cable management is a critical part of network cabling systems that require a large number of moves, adds and changes. The improper cable management may result in cable damage or cause transmission errors and performance issues as well as system downtime. In a horizontal manager system, the cable management for rack is important in telecommunications rooms for leased office space, brokerages and trading houses where the workstations will move or add additional ports frequently. This post will analyze why the horizontal rack cable management is important and offers FS horizontal cable management solutions for rack. Why Is Proper Horizontal Rack Cable Management Important? Poorly routed cables can lead to an assortment of problems over time. Jumbled cables would increase the risk of cables to be tangled up, and a possibility of interruption when reconnecting the cables. The rack cable management is directly related to hardware safety. All equipment running on the server rack is going to generate heat, so organizing a rack with a conception involving space will help promote the airflow and hardware management. Cable labels in a proper horizontal rack cable management can save a lot of time on troubleshooting. Just imagine how difficult it would be to trace a cable through that mess. If rack cables were unorganized, a technician would spend hours tracing wires when something goes wrong. In most circumstances, we can’t afford to stay offline while a technician unravels a tangled nest of cables. Thus a proper horizontal cable management makes it easy for the technician to identify and access where goes wrong and fix it in far less time. Horizontal Cable Management for Rack: Where to Start with? Horizontal cable management system is often installed within racks or cabinets to manage cables on front racks and draw cables away from equipment neatly. The rack space of a horizontal cable management infrastructure is typically 1U or 2U high. The following part gives the FS plastic & metal horizontal fiber patch panel, cable managers, lacer panels to promote a proper cable management in your horizontal network cabling systems. Horizontal rackmount fiber patch panels help to organize cables and eliminate cable stress for your rack enclosure cabinet. FS offers 1U 19’’ blank rackmount fiber patch panels with plastic D-rings on the cable management panel and lacing bar. These rackmount fiber patch panels can be used to organize cables for fiber optic adapters, fiber enclosures, Ethernet switches, WDM chassis, etc. Horizontal cable managers with finger duct and brush strip allow neat and proper routing of the patch cables from equipment in racks and protect cables from damage. Fixed inset fingers on the front and back allow easier access to the ports for moves, adds, and changes. And the brush strip horizontal cable manager is constructed of high-quality steel with high-density nylon bristles, which can promote proper airflow through the rack and meet the demand for front-to-back cable runs. Horizontal lacer panels are efficient tools for rack or enclosure cabling. These D-rings on the lacer panel are essential to avoid cable strain and prevent damage to the ports on your rack-mount equipment. The five rotating D-rings can be easily assembled or disassembled manually according to your needs. This post provides users with a horizontal cable management solution that simplifies cable routing in a finished professional appearance. With proper and efficient horizontal cable management tools, cable spaghetti is not a problem anymore. You can just have a peace of mind and reap the great benefits of sound cable management. FS horizontal cable management tools provide an efficient way to manage high performance copper, fiber optic, or coaxial cables on any 1U or 2U rack. For more details, please kindly visit www.fs.com. This entry was posted in Fiber Cabling and tagged fiber patch panel, horizontal cable management, Horizontal Cable Management for Rack, server rack on September 6, 2018 by Kelly.Zeng.